Special thanks to Blogging for Books and Broadway Books of Crown Publishing for providing a copy of this book in exchange for my honest review. I have long been a fan of historical fiction, and I have found myself most drawn toward books about women during World War II. 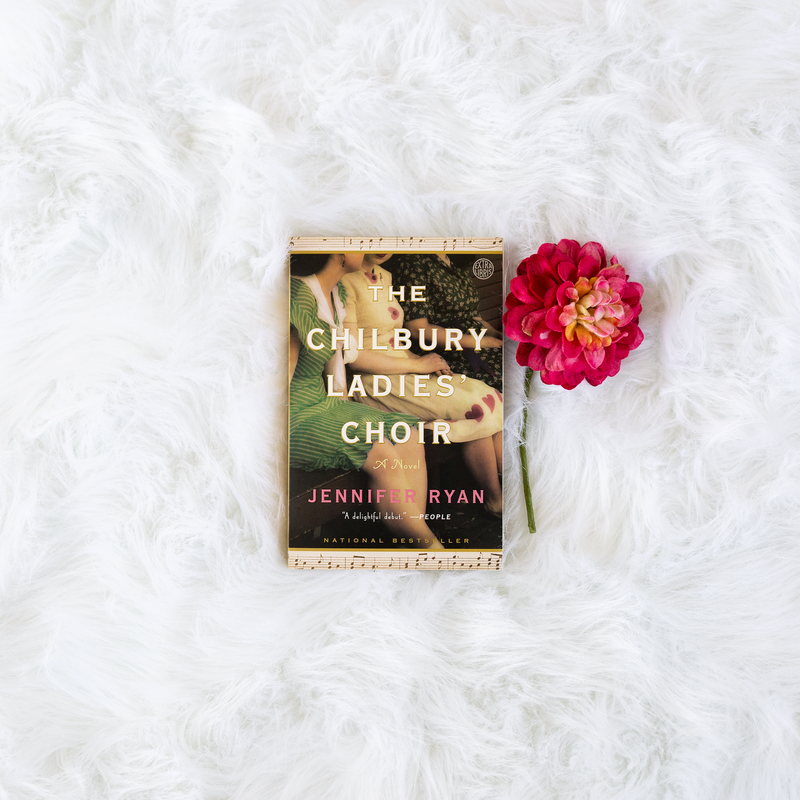 As a result, I have read many amazing books about the lives of women during such a powerful time in world history, and although many of them focus on similar themes and events, none of them have been quite like The Chilbury Ladies’ Choir by Jennifer Ryan. The events in The Chilbury Ladies’ Choir take place over the course of one summer in 1940 in a small village in the English countryside called Chilbury. Told through a series of journal entries and letters, with a few short notices and briefings, the book primarily focuses on four women–Kitty Winthrop, Venetia Winthrop, Margaret Tilling, and Edwina Paltry–but includes insights into the lives of several other women in the village as well. The beginning of the book sees Edwina Paltry, the local midwife, hired to ensure that Brigadier Winthrop’s soon-to-be born child is a son after his eldest child and the heir to his fortune is killed in battle. Meanwhile, Kitty and Venetia navigate a world of love and loss in an unhappy home with their abusive father (Brigadier Winthrop), timid mother, and a Jewish child named Silvie taking refuge with them in their manor. As for Margaret Tilling, she learns to cope with her son David’s absence after he volunteers for the war and struggles to come to terms with his room being occupied by a military colonel billeting with her. After being notified that their choir has been disbanded due to a lack of men in the village, the ladies decide to start their own choir, which causes them to develop a new sense of community and family. Describing everything that was incredible about this book seems impossible. There were so many different elements to each woman’s story that made me find myself quickly immersed in the text and invested in their lives. However, what ultimately made this such a powerful book for me and what set it apart from the other WWII novels I have read is how dynamic the characters were. The growth they each experienced as a direct result of the events of the war as it became reality for them was an incredible reminder of the very real impact that war has one everyone. From Kitty’s naivety to Ventia’s superficiality and Mrs. Tilling’s meekness, Jennifer Ryan set her characters up for a tremendous amount of change, and by telling their stories from their own perspectives through their letters and journals, readers gradually become aware of their attitude shifts and the small changes in their personalities that accumulate to leave them as very different characters by the end of the book. Meanwhile, Ryan approaches the topic of WWII with all the severity it deserves, but she also demonstrates that daily life, although altered, carried on for the women left behind when the men went off to fight. Those women carried heavy weights, but they still sought out joy and laughter and learned how to carry on. One of my favorite moments in the entire book is when Kitty recounts the confrontation between the Chilbury Defense Volunteers and the Chilbury Invasion Committee, and I found myself laughing out loud, which rarely happens when I read. Later, during a particularly emotional performance by the Chilbury Ladies’ Choir at a funeral, I found myself crying real tears. I became incredibly attached to the women of Chilbury. When their hearts broke, so did mine, and when they experienced joy, I felt it for them as well. Jennifer Ryan’s writing is beautiful, and her characters are developed magnificently. She has written a wonderful book that somehow encompasses all the heartbreak, hope, and healing that the fictional women of Chilbury experienced as a result of the events of a single summer in the midst of WWII, and I couldn’t love this gem of a novel more. Posted in FictionTagged book review, Broadway Books, Crown Publishing Group, Fiction, fiction review, historical fiction, Jennifer Ryan, The Chilbury Ladies' ChoirBookmark the permalink. Excellent review! One of my fav reads this year! Thank you so much, Carol! I’m glad you enjoyed my review!